Hot Toys has officially revealed the first two figures in their Avengers: Endgame line, and they’ve kicked it off with the leaders on both sides of the conflict: Iron Man and Thanos. The Thanos figure will be released around the first or second quarter of 2020, while the Iron Man figure will be available in either the 3rd or 4th quarter of 2020. 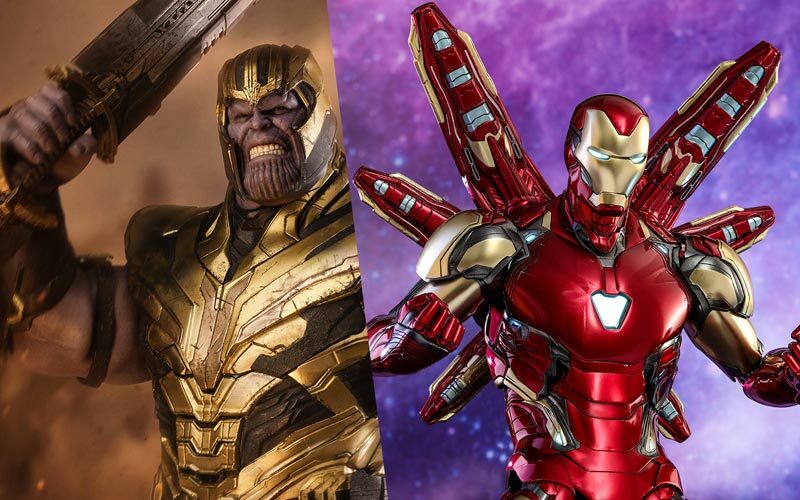 Check out the Endgame Hot Toys in our gallery below, and check out the movie when it opens April 26! 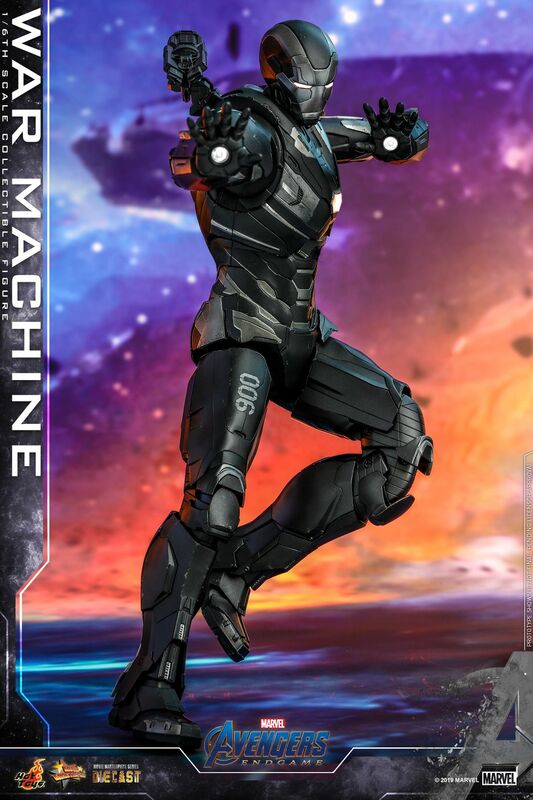 Today, Hot Toys presents the 1/6th scale Iron Man Mark LXXXV collectible figure as the first masterpiece from the line-up inspired by this last exciting installment of The Infinity Saga. Exquisitely crafted based on Tony Stark/Iron Man in Avengers: Endgame, the true-to-movie figure features two interchangeable head sculpts including a newly developed head sculpt with remarkable likeness and an interchangeable helmeted head with LED-light up function, intricate design of the Iron Man armor has been faithfully reproduced with red, gold and charcoal grey coloring painted carefully with a metallic appearance, LED light-up functions scattered throughout the upper body, back and Arc Reactor on chest, Nano Lightning Refocuser attachable to the back, multiple pairs of interchangeable hands for iconic gestures, character themed figure stand with movie logo.